20 Hz. 20 Hz. 20 Hz. 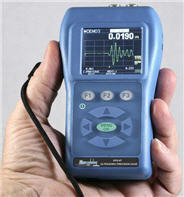 • Available in 7 models including basic, datalogging, with and without waveform in Color or Monochrome. • Multiple single element transducer options including contact, composite elements (high penetration), delay-line, immerision from .5-25 Mhz.